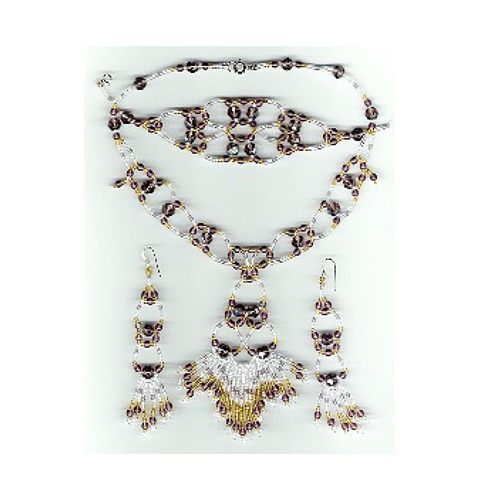 Fast, simple and showy, a jewelry set for all occassions. You'll have as much fun making it as you do wearing it! Pattern includes picture of finished earrings, full color charts and diagrams, general instructions, suggested beads, and suggested dangles.